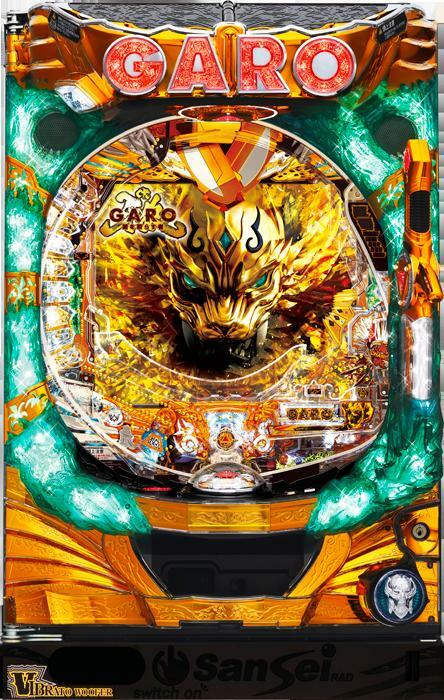 9th installment in a pachinko series dealing with a spinoff of the extremely popular “Garo” series: Garo: Go for the Gold! This version has a lot of interesting accessories; in fact there is a sword piercing through the chassis! During gameplay if you push the sword and Garo’s “big face” comes out the the jackpot is within your grasp! Furthermore, the protagonist in the Garo series, Ryuga Dougai, is transformed into Kouga Saezima and the world is completely changed! You will battle with your comrades to defeat the villain Horrors! This model will be introduced into pachinko halls at the end of July, so go and play it thoroughly! We've also noticed that the machine "knows" the season as the background in one Pub Scene changed from Halloween to Christmas themed from October to December in real time!! ​New Shipment - New LOWER Price!